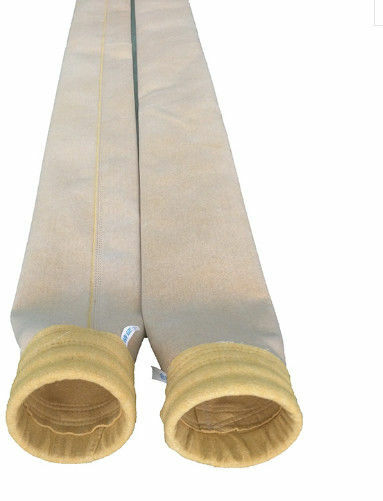 P84 dust filter bag (Felt) Normal continuous operating temperature is 260degrees. • P84 can operate continuously, under practical and low acid working conditions, at temperatures up to 500°F(260 °C). • The complex cross sectional shapes create 30-90% more collection surface area when compared to round or oval shaped fibers. • The unique tri-lobal fiber structure of P84 provides customers with high efficiency filtration, low pressure drop, and reduced cleaning energy.